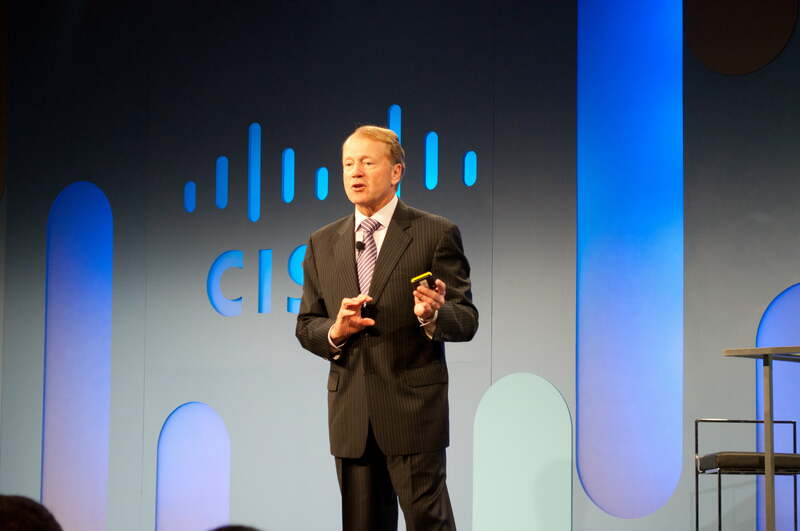 Unlike most companies at CES, Cisco did not unveil any new products for consumers at its press conference on Wednesday. 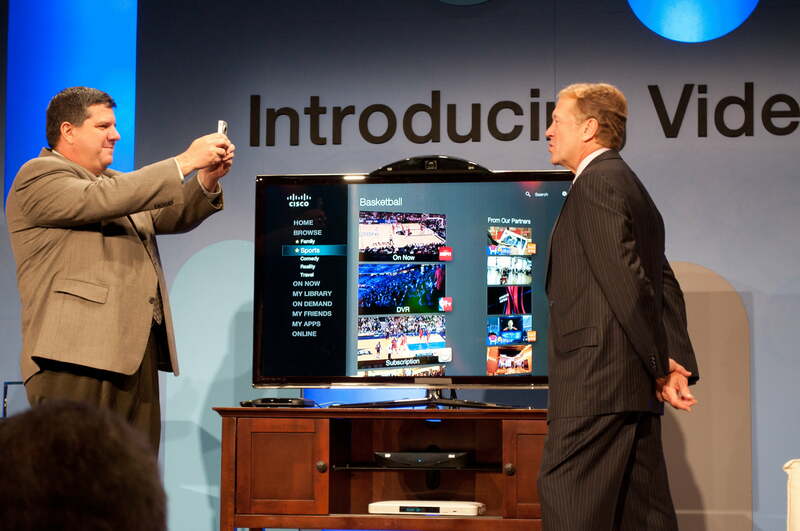 Instead, CEO and Chairman John Chambers introduced a multi-platform concept idea called Videoscape. Chambers described what he called a “software architecture” in which content from your TV can easily cross platforms to your computer, tablet, or mobile phone without skipping a beat. In the demonstration, Chambers showed what this system would look like on a real TV by searching for ‘basketball.’ The result was three columns of content: one of content on regular TV channels, one of content from Cisco partners, and one of content from social media, friends, and YouTube. Theoretically, with a set-top box (the only product mentioned, if only briefly), users could pay service providers for content that they could then access from any of their electronic devices. With few real partners mentioned and no release date for a physical product to achieve Videoscape, the idea still seems a bit lofty, but the concept is one that could transform the way users deal with having so many devices, and make it simpler to switch between them.